In Ontario, we generally see few motorcycles on the roads over the winter, but the number of motorcyclists typically surges in Spring and Summer, and all drivers are reminded to be watchful of these more vulnerable road users. On November 4, 2016, a 37-year-old Burlington man was fatally injured after his motorcycle collided with a van on the QEW in Hamilton. Then, on November 18, a 46-year-old motorcyclist was killed in a crash involving three vehicles, on Silvercreek Parkway in Guelph, Ontario. Police believed the motorcycle was behind one of two trucks that collided, and only the motorcyclist was injured in the crash. On July 12, 2016, CBC News published an article titled, “2016 could be deadliest in 5 years for Ontario motorcyclists, OPP reports”. At the time of the article, 25 people had died in motorcycle crashes, which was only 6 short of the total number of fatal injuries in Ontario in 2015. The article points to the fact that many motorcycle accidents are caused when other drivers at inattentive or distracted, and fail to monitor for motorcycle riders (or cyclists) on the road. When another driver doesn’t see a motorcyclist, and turns into them at an intersection or passes unsafely into a motorcycle on the highway, the consequences for the motorcycle rider are often fatal. There are a number of common misconceptions about motorcycle riders and accidents. One of these pertains to the age of riders involved in accidents. In fact, the majority of motorcyclists fatally injured are over the age of 45. Also, most motorcycle accidents don’t result from hazardous road or weather conditions – they most commonly occur on clear days and in the afternoon, typically in the Spring and Summer. The five most frequent contributing factors in motorcycle accidents (either on the part of the rider or another driver) are: speed, lose of control, alcohol, failure to yield, and inattention. 1. Take a professional rider training course. Inexperienced and untrained riders are at far greater risk of injury. 2. Wear an approved, properly fastened helmet at all times. 3. Wear highly visible clothing, particularly at night, as well as protective gear/clothing. 4. Ensure your headlights are working. 5. Properly communicate all your lane changes and try to make eye contact with other drivers before changing lanes. 6. Keep a good distance between vehicles when following. 7. Slow down and be mindful of road and weather conditions. 8. Always scan well ahead to identify and avoid potential hazards. 9. Predict and plan what to do in the event of a dangerous or unexpected situation. You can even practice maneuvers in a secluded area. 10. Remain alert, pace yourself and limit the distance you ride in one trip. 11. Always check twice before advancing through an intersection – this may save you from being hit by vehicles turning left or running a red light. Studies suggests that a motorcycle accident is 30 times as likely to be fatal as a car or truck accident. And, even the most cautious and experienced motorcycle rider is at risk if other road users don’t watch for, and allow room for motorcyclists. 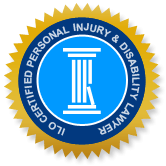 If you or a loved one were injured in a motorcycle collision, call an Ontario motorcycle accident lawyer at Guelph personal injury lawyers to find out about the strength of your claim and your best options for obtaining a fair settlement.